The 3.24-inch blade is CPM-S30V, a standard on most new higher-end knives, and the overall length is 7.46 inches. 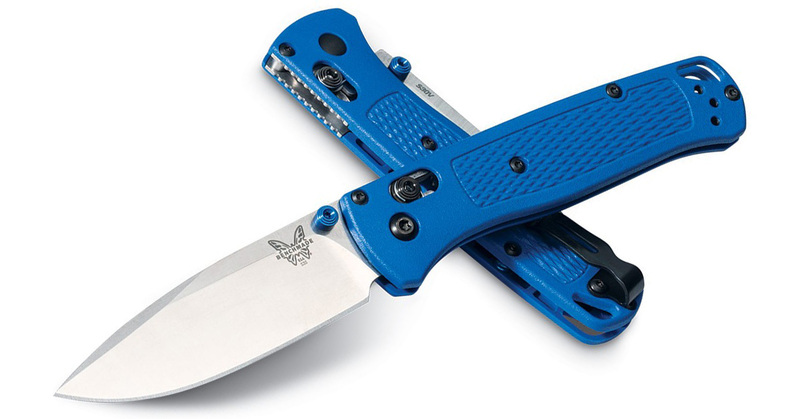 Like most Benchmade knives, the Bugout has the AXIS lock mechanism. But the real standout of the knife in my humble opinion is the good-looking blue Grivory handle scales. The lightweight material is durable and grippy while the anodized blue thumb stud makes it even sexier. I’m a sucker for the blue coloration on knives, whether it’s the Blue Griptilian or the Blue Endura. Now comes the price. The MSRP is $135 but the street price will probably be closer to the Minimum Advertised Pricing (MAP) at 40 percent the price, or $81. 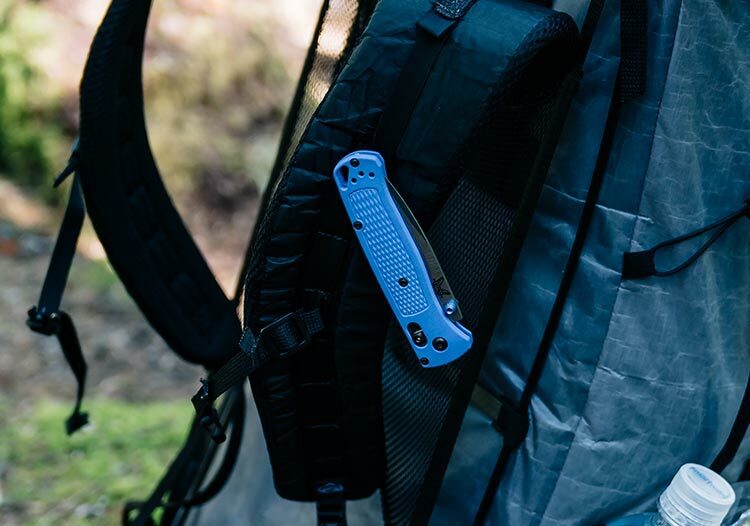 Lightweight backpacking knives are becoming more and more popular, though I would still recommend the new upgraded Griptilians despite the price. The steel on those is CPM-20CV and the G-10 handles keep the weight below 3 ounces on the mini. The weight of the full size is still just 4 ounces. It’s not available yet at Knife Depot, but we will keep you updated once we get some in stock. When will you have this available?